I saw Thor 2: The Dark World over the weekend. It was pretty good, and I had a good time. I know Loki probably had the biggest expectations, given what a stud Tom Hiddleston has turned out to be, and he certainly delivered in my opinion. He got to be both good and evil, and I think his motivations for each were more understandable than for the earlier two films. My only complaint was that I felt a little misled by one of the trailers. I don’t want to say how I was misled because that would include spoilers for the film, but the trailer I remember most strongly led me to think there would be a couple of specific plot threads that were simply not in the film. The film was plenty strong without them – stronger, I think, for the absence of one of them – but I still came away a little disappointed in not seeing them. Oh, and if you go, stay until the very end, like when the lights come up and the ushers come to shoo you out of your seats. Like most of these Marvel films there was an extra bonus at the end. This one had two or three, scattered through the credits. One was the typical teaser for some future film – and that one might have technically been before the titles – but the other two were major plot points for the resolution of the film. Had I skipped out when the credits rolled, I’d have felt cheated that those had been left hanging. So stick it out, no matter how much you’re regretting your choice of the large Dr. Pepper. I’m reviewing the movie here, not the book it was based on. I actually tried reading the book, but I have a hard time reading dialect, and both book and film half quite a bit of it. Hence, I settled for the movie. I was quite taken with the trailer when I saw it over the summer and was really looking forward to this. It promised to be a little deeper in the intellectual waters than most American films. And yeah, I’d say it was deeper all right. It ended up being one of those films I was going to have to see more than once to really know what I thought about it. Alas, I didn’t get the chance to do so before it promptly vanished from the theaters, so that will have to wait until it comes out on disc. First of all, I have to say it is a visually beautiful film. The settings (both real and virtual) are gorgeous, and the cinematography is stunning. It’s a testament to how seamless effects can be in a film that’s not really billed as a special effects bonanza. Things that are quite unreal simply looked real. Second, the movie hops around quite a bit, but I think it does so to its benefit. It’s really six tales interleaved with each other, but they are all separated by time, anywhere from fifty to three hundred years. And yet, there were connections between most of the tales, some subtle, some not. Some of the connections were about cause and effect, while others were more tangential. I would say they were actually all connected, but there was one link going forward that I could not spot in my memory of the film. And third, the cast was a fabulous collection of A-list actors, with each of them playing multiple roles that were often quite different. It was only when the credits rolled did I realize just how many roles they each played. I expect this film to win various technical awards for its costumes and make-up. So, all of that is the blah-blah-blah that movie reviewers go on about when describing some high-concept art film, but it never really tells us what the film is about. So, what is this one about? It’s kind of hard to say, but to sum it up, I would say it’s about the terrible things we humans do to one another as well as how individuals face that. Some of them fold under. Some stand up and fight. And others make good their escape. And these six tales examine many of humanity’s real and imagined sins ranging from historic slavery all the way forward to post-apocalyptic barbarism. And I would say it did a good job at it. 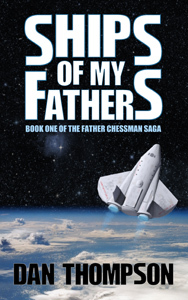 There was also a hint of reincarnation, cycles of life, and other non-Judeo-Christian views. The preview actually made me expect much more of this than I saw in the film itself. What it had was actually pretty vague and open to interpretation. On exiting, I overheard an elderly couple discussing the film, with one asking, “So, was Tom Hanks supposed to be Christ?” I never would have made that leap myself, but it does show that different people will see different things in the film. So, if you missed it in the theater, definitely give it a look when it comes out for purchase or rental. I know I’m going to be buying it on Blu-Ray, just to get another look at it. Unless you’ve been hiding out in the desert canyons of Tatooine, you’ve heard the news that Disney bought out Lucasfilm for $4 billion and change. In addition to running Vader all over Disneyworld, they’re promising a new Star Wars film (Episode VII) in 2015. Every fanboy in the world is taking his turn as backseat driver, and I’m no exception. So, grant me a few moments to be R2 and tell Luke what I would do if I had bought Star Wars. The very first thing I would do is to rerelease the original trilogy on Blu-Ray in its completely unaltered form. I would take the best scan of the films (probably already existing at 4K as source material for the special editions), make sure they were clean, and put them out on Blu-Ray. No special edition. No Greedo shooting first. No Hayden Christensen on Endor. Every fanboy of my generation has been lusting for precisely this since before Blu-Ray even existed, and is ready to shell out hard cash for this. Doing this simple act would generate $2-$3 billion right off the bat. My math? 50 million fan boys (world-wide) at $50 for the trilogy comes out to $2.5 billion. Play around with the pricing, add more fan boys, start talking net instead of retail… the numbers move around. But clearly, this one simple act that Lucas has blocked for years would repay a decent chunk of the purchase price. I would follow that up with a Blu-Ray release that was a mix of original and special edition. 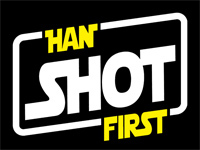 This would be for the true aficionados, who insist that Han shot first but liked some of the cleaner special effects that came with the special editions and might like some of the deleted scenes as in-line bonus material. Fine-tuning this would be a fan-by-fan project, but the options available on modern Blu-Rays should allow viewers to pick and choose. This would sell far fewer copies, but you could easily charge more. It won’t finish paying off the Lucasfilm mortgage, but it will shave off a few more points. Mind you, this is money George could have had himself but chose to thwart the fans. I don’t expect Disney will leave that money on the table. Then we have to start talking about the other movies. I can see the commercial logic of Disney wanting to start afresh with the later chapters, but if I were running the show, I would start with the prequels. Yes, they’ve already been done, but they were done wrong. I don’t expect much disagreement on that. It was meant for kids, not the adults who had grown up on Star Wars. Anakins’ motivations were lame, both surrounding his mother and Padme. Anakin was too much of a whiner, hardly the precursor for Darth Vader in the original trilogy. How would I have fixed all that? There are the obvious choices of removing Jar-Jar entirely and making Anakin older when we first meet him, but beyond that, I would make Anakin’s character much deeper and thoughtful. Instead of him becoming a victim of his own emotional immaturity, he would make rational choices based on enlightened self-interest. He would act for himself, for the Jedi, and ultimately for the good of the galaxy. 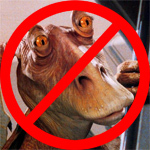 And that is the biggest disappointment I had with the prequels and how I would have done them differently. I want to see Anakin make a rational choice to turn to the dark side. I want to see him split from the rest of the Jedi over a matter where it was possible to take two sides. I want to see him take Palpatine’s side on this issue because he believes in it. And finally, I want to see him take up the dark side because he needs its power to carry out his vision for the galaxy. He might still be Palpatine’s chess piece, but he would be elevated from pawn to knight. That is the kind of back story that lets Vader be the man he was in the original trilogy: dedicated, ruthless, and willing to turn on his master when the time came. And then I would turn to the follow-up movies, and just like my reboot of the prequels, I would make these for adults, not for the kids. It doesn’t have to be rated R, but it needs a serious, adult theme. And for that, I would choose the deliberate genocide of the Jedi and Sith. What? That’s right. The Jedi and Sith must be exterminated. At least, that will be the position of the newly restored Republic. It was their faith in the Jedi that allowed their downfall. It was the rise of powerful Sith lords that crushed them. Without them, the Republic would have continued. Its politics might have been corrupt, but at least they had a political voice rather than the force choke of Palpatine and Vader. Wouldn’t they be better off with these mutants out of the picture? But doesn’t that make our heroes from the original trilogy (especially Luke and Leia) the bad guys? No, in a search for scapegoats and revenge, the Republic has become insane and evil. The Republic is now the enemy, casting out or heroes and hunting them down along with their children. Even if we throw midichlorians out the window, it is well known from the first films that the Force runs strong in Luke’s family. Throw in the children, siblings, and cousins of the old Jedi order, and you have a genetic pool of would-be Force-users who will be on the run. Thus, our heroes are thrown back into the role of the underdog. They are stripped of many of their allies. 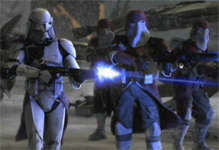 They have to survive, form their own resistance for mutual support, and train a new generation of Jedi in secret. Then, by the time the third film comes along, a new danger will threaten the Republic, and these Jedi, old and new, will have to step up and become the guardians of the Republic once again. It is a tale of revenge vs. redemption. Anyway, that’s what I would have done if I had bought Star Wars. What would you have done? 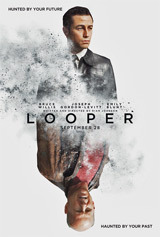 Looper is a good old-fashioned time-travel film, complete with loops and the occasional paradox. Plus, it has two great actors (Gordon Levitt and Bruce Willis) letting loose with big guns. So, good story, good acting, and things go boom. The premise is that Joe (Gordon Levitt) is an assassin for the mob. Except, it’s not so much the mob today as it’s the mob in thirty years. They have access to some illegal time-travel equipment, and to avoid the excellent forensics of the future, they send their enemies back in time to be disposed of here. So Joe goes out to the corn field, sets up at the right place and right time, and when the target appears, bound with a bag over the head, he makes quick work of them. The payment is in shiny bars of silver, strapped to the back of the target. And back in Joe’s time, getting rid of a body is easy – especially a body no one will be looking for for another thirty years. Nice job, good pay, and powerful connections. There’s only one catch. At some point in the future, the powers that be need to clean up your contract to keep you from testifying about some of those bodies, so eventually, your future self gets sent back, and you’re the one who has to clean it up. That one pays in gold, and you get to spend the next thirty years in wealthy retirement, waiting for the day that they’ll come to close your particular loop. Well, one day future Joe (Bruce Willis) appears, and he does not want to go gently into that good night. And from there… well, complications ensue. I don’t want to say anything else, because that would be getting into spoiler territory. I’ll just say that young Joe has very good reason for wanting old Joe dead, and old Joe has a very strong motivation to do something else before that happens. It’s a great dilemma for both of them, both pitting them against each other as well as making them uneasy allies. The ending caught me by surprise, but looking back, I’m kind of surprised I was surprised. Mostly, I was just that wrapped up in the immediacy of the story I wasn’t able to do the plot analysis to look for the appropriate ending. I’ll say this at least, I don’t think I was the only one surprised. When the credits rolled, the theater was silent. No laughter. No applause. Just contemplative silence. Now, like virtually all time travel tales, yes, there are a couple of plot holes, but I didn’t spot them in the moment. Rather, it was only later, thinking back on it that I started to wonder why such and such had not happened. But during the film, I was hooked. So, I’ll give it four out of five stars, and I’ll probably try to pick up the disc when it drops to $12. The Empire Strikes Back: This one is so often quoted as the declining-sequel rule breaker that it has to go on the list, and I think it really does deserve it. As much as I loved Star Wars as a kid, Empire turned the franchise – ever so briefly – into more serious adult fare. Star Trek II: The Wrath of Khan: This one gets in easily, not only because it was a great film, but because the original Star Trek: The Motion Picture was so limp that it’s a miracle this one was ever made. In my not so humble opinion, this film saved the franchise. Star Trek: First Contact: I was tempted to knock this one out, because it’s not technically a sequel as much as it’s the next installment in an ongoing series. However, I can buy the argument that Star Trek: Generations started off a new film sequence, and that let’s this one in. So, while Generations tried to do far too much and didn’t pull much of it off, First Contact focused on one thing: stopping the Borg from destroying our history. 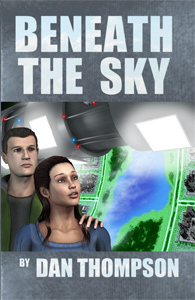 It had a tight story, cool characters, and plus… you know… THE BORG! Road Warrior: Some people don’t even realize this is a sequel, but the original Mad Max was an Australian blockbuster. I love it – and would love it even more without the terrible dubbing job – but I have to say that Road Warrior has a better style, better car chases, and a better plot. Aliens: My friend argued against this one, not because he thought the original Alien was better but because they were so different as to almost be different genres. Alien is a walk through a dark alley, almost a horror film, while Aliens is a military-action rollercoaster. But I think they’re close enough that I’m going to include it. For a Few Dollars More: This is well outside the bounds by genre since it’s a western. It’s also questionable whether it’s even a sequel to Fistful of Dollars. However, it is the second in what most folks refer to as “the Man with No Name” trilogy that ends with the classic The Good, the Bad, and the Ugly. In some ways, this one was the high point of the trilogy for me, and Clint Eastwood almost played second fiddle to Lee Van Cleef’s search for long-delayed justice for a very personal crime. If you’re a fan of gun-fighting westerns, you need to see this one. The Four Musketeers: This is historical fiction as opposed to SF/F fiction, but the main reason I don’t like seeing it on lists of great sequels is that it’s not really a sequel. It’s the second half of the Three Musketeers movie that was released the year before. The director shot so much film that he decided to break it up, leaving quite the legal mess for the film industry to sort out in contract law for generations to come. However, all that aside, this is a fabulous film, and this pair of Musketeer films (with a young Michael York) is in my opinion the best of all the Musketeer tellings. Kill Bill, Vol 2: This one also shows up on great sequel lists, but I also don’t think it belongs for the same reason that The Four Musketeers didn’t belong. It’s not a sequel. It’s the second half of the film, and of course it’s better than “the original”. It has the climax, you dummy. But yeah, great film. The first one ripped out your carotid in a nasty arterial spray, but the second one grabbed on tight and yanked your heart out through your severed neck. Ok, not that bloody, but you get the idea. Spider-Man 2 and The Dark Knight: I think that both of these sequels were better than the originals, but despite all the fancy weapons and cool gadgets, I don’t consider comic movies to be either science fiction or fantasy. I think they’re their own genre like horror or mystery. Toy Story 2: The original was awesome, but this sequel knocked it out of the park. I just don’t think it qualifies as SF/F. Terminator 2: My friend lobbied hard for this one, but personally, I think the original is still the best of the series. Yes, the second one had better effects and a pretty good story, but the original one hangs together so much better and has that wonderful bittersweet romance. Superman 2: Some people rate this one as being better than the original, and given the stupid fly-around-the-earth-backwards time travel in the first film, I can see their argument. However, the people making this argument are usually referring to the Donner cut of the film rather than the theatrical release, and I haven’t seen the Donner cut. If I do, I might join their camp, but in the meantime, I’m sticking with the origin-heavy original. But yeah, it’s still comic, not SF. So, what great sequels did I miss? What about book sequels instead of movie sequels? Or for that matter, does this make you think of any terrible sequels? I’ve got half a mind to follow this up with a list of sequels so bad that they don’t officially exist, e.g. Highlander II or Star Trek V.